Once again, there was no outright winner of Presteigne St Andrews FC’s Super Lotto jackpot. 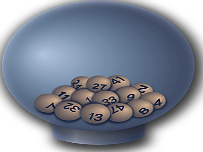 The four numbers drawn out of the hat were: 11, 14, 15 and 19 but nobody was able to match this quartet and so the jackpot rolls over to the next draw which will be on Sunday, 21 April. The jackpot is now standing at a very tasty £6,342 so someone is going to ‘win big’ when it finally does go. Well done to Holly Evans who won the £20 Bonus Buy Prize for this week. Please note: the draw on 21 April will be at the earlier time of 2.30pm due to there being a private function at The Farmers later in the afternoon.